Blog | Wembley Music Centre - PRS 30th Anniversary Custom 24 "Final Run" Now Available! 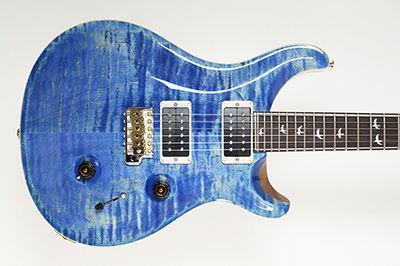 PRS 30th Anniversary Custom 24 "Final Run" Now Available! As we near the end of PRS' 30th anniversary celebrations the guys at PRS have decided to cap off a year of incredible guitar releases with something really special! Introducing the extremely limited edition Final Run 30th Anniversary Custom 24! As the PRS 30th anniversary event draws to a close, PRS have decided to cap off the celebrations with this extremely limited edition "Final Run" of 30th Anniversary Custom 24s. These guitars feature finishes that were not available on the regular 30th Anniversary models, finishes that were normally found on the Artist Package guitars. The "Final Run" guitars feature the awesome anniversary appointments that can be found on the outstanding 30th Anniversary models, including 85/15 humbucker pickups, rosewood veneer headstock inlay and fingerboard purfing. Each of the 100 "Final Run" guitars are signed and numbered on the backplate by Paul Reed Smith himself. These guitars will not stick around long, with only 75 available in Europe. 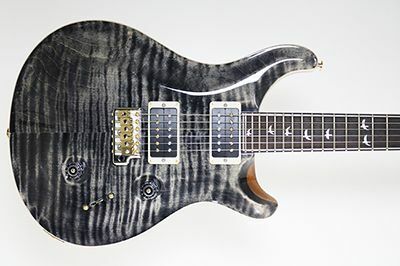 Act now to avoid missing out on a piece of PRS history!